The consistency in service of HMOs must never vary. If patients get outstanding service in Metro Manila or where an HMO’s business is concentrated, then patients from other parts of the country must get the same deal. In the world of health care, no discrimination or neglect of any form should ever be allowed. Leading HMO Intellicare is one HMO that strongly adheres to this belief. 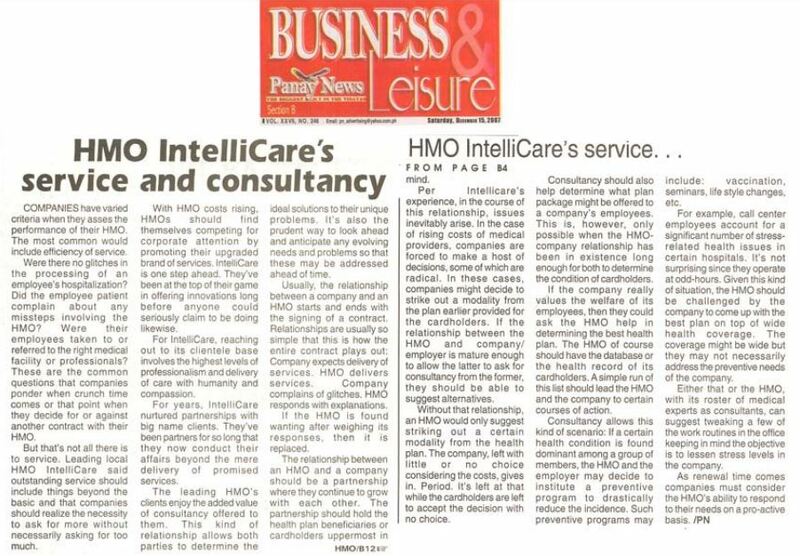 HMOs are not entirely business ventures, as Intellicare has been tirelessly pointing out. It’s a business that should actually care, where one must be very keen enough 24/7, no matter the stress caused by irate patients and their families. Health care is a venture that has no room for compromises or excuses. Unpleasant experiences with HMOs usually come from their lack of consistency in service. 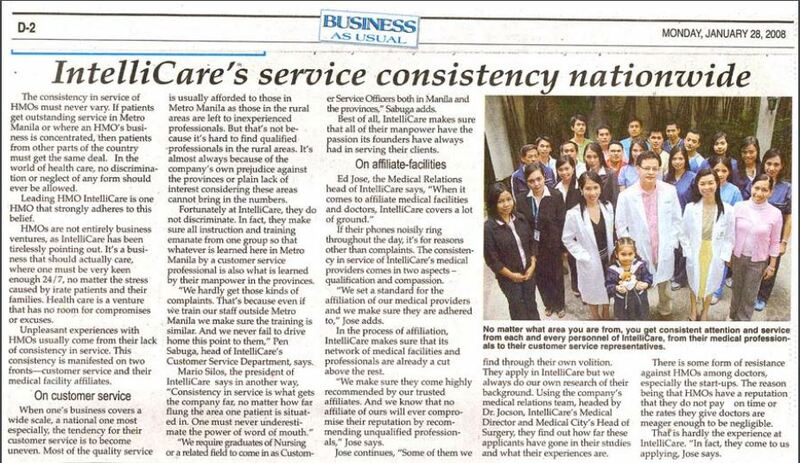 This consistency is manifested on two fronts—customer service and their medical facility affiliates. Companies have varied criteria when they asses the performance of their HMO. The most common would include efficiency of service. Were there no glitches in the processing of an employee’s hospitalization? Did the employee patient complain about any missteps involving the HMO? Were their employees taken to or referred to the right medical facility or professionals? These are the common questions that companies ponder when crunch time comes or that point when they decide for or against another contract with their HMO. But that’s not all there is to service. 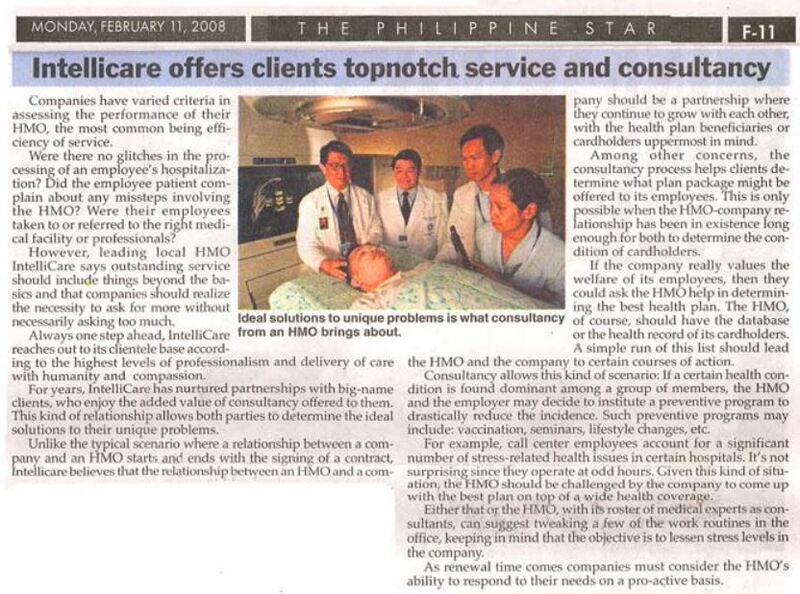 Leading local HMO Intellicare says outstanding service should include things beyond the basic and that companies should realize the necessity to ask for more without necessarily asking for too much. 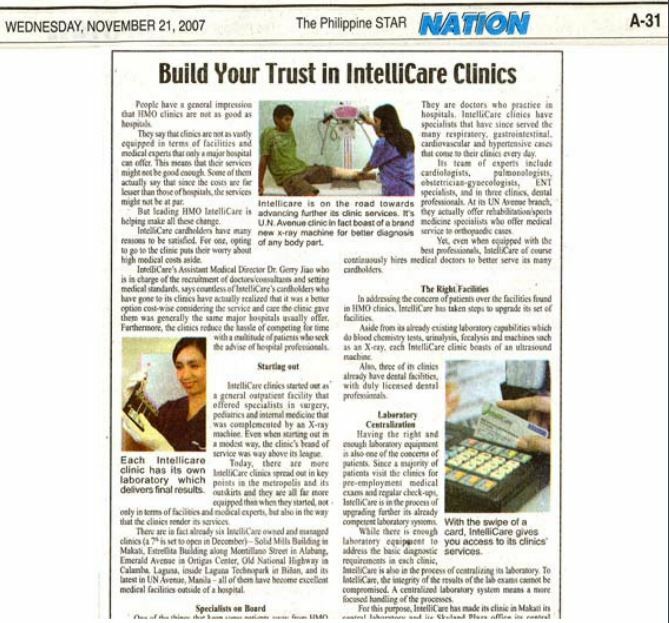 Intellicare cardholders have many reasons to be satisfied. For one, opting to go to the clinic puts their worry about high medical costs aside. With HMO costs rising, HMOs should find themselves competing for corporate attention by promoting their upgraded brand of services. Intellicare is one step ahead. They’ve been at the top of their game in offering innovations long before anyone could seriously claim to be doing likewise. People have a general impression that HMO clinics are not as good as hospitals. They say the fact that the clinics are not as vastly equipped in terms of facilities as well as medical experts that only a major hospital can offer. This means that their services might not be good enough. Some of them actually say that since the costs are far lesser than those of hospitals, the services might not be at par. But leading HMO Intellicare is helping make all these change. 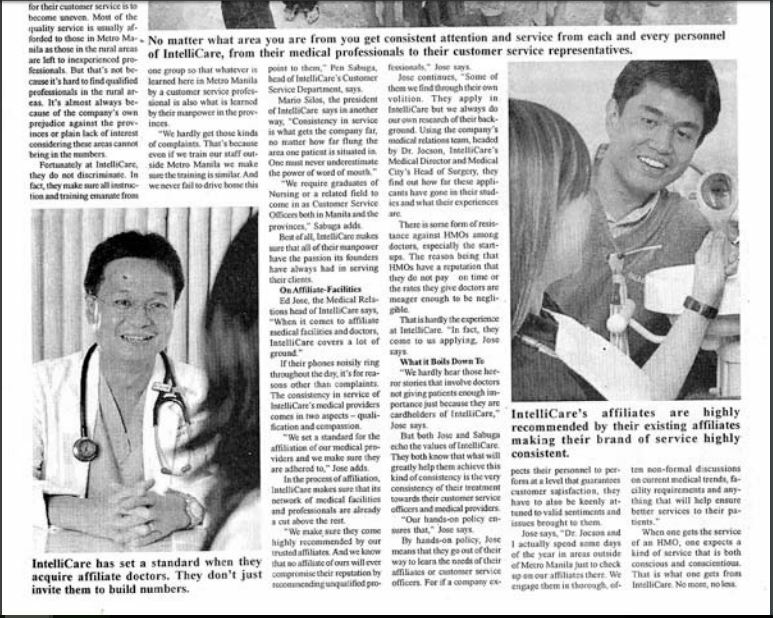 Intellicare’s Assistant Medical Director Dr. Gerry Jiao who is in charge of the recruitment of doctors/consultants and setting medical standards, says countless many of Intellicre’s cardholders who have gone to its clinics have actually realized that that it was a better option cost-wise considering that the service and the care the clinic gave them was generally the same major hospitals usually offer. Furthermore, the clinics reduce the hassle of competing for time with a multitude of patients who seek the advise of hospital professionals.